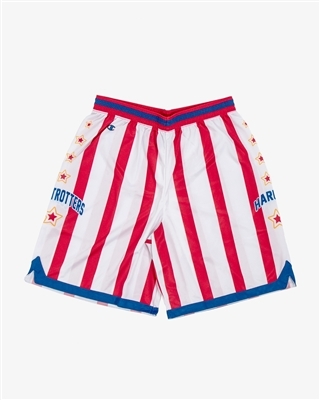 Wear the iconic red and white striped shorts of the world's most famous basketball team. These shorts are sublimated with the Globetrotters' famous design. Available in both youth and adult sizes, these shorts will have you whistling "Sweet Georgia Brown."